New book, 160 pages. 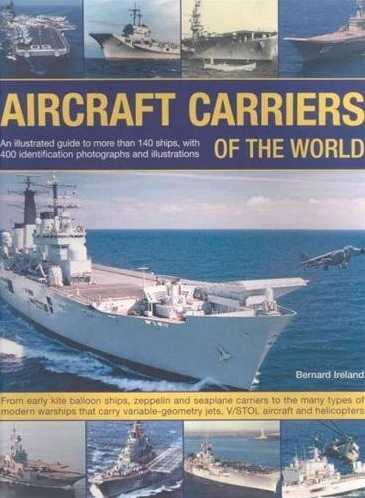 A country by country guide to the ships that operate aircraft, illustrated with 400 identification photographs and cutaway diagrams. Includes carriers such as the Invincible class of the United Kingdom, the Japanese Shokaku class, the United States Yorktown class, the Soviet Union Moskva class, the 21st century Charles de Gaulle of France, and over 140 more. Specification boxes provide at a glance information about each aircraft carrier's country of origin , the company that built it, construction and completion dates, displacement, dimensions, types of aircraft carried, armament, power and performance. This item was added to our catalog on Monday 04 January, 2010.